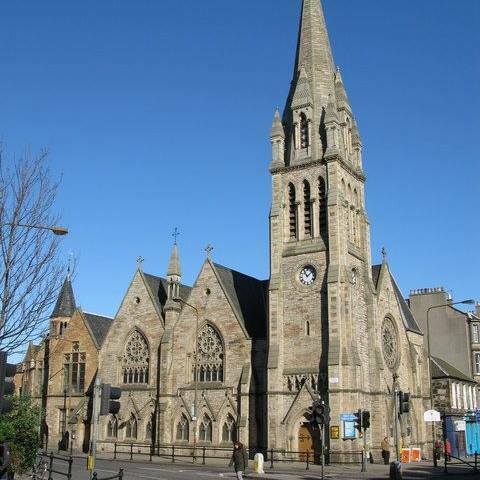 The church is located in Edinburgh, Scotland, on the corner of Leith Walk and Pilrig Street. We have a step free entrance to the church via our side door, the welcome team will be happy to assist. Our principal worship is on a Sunday morning at 11am. The words of the hymns are displayed on large screens. We have an induction loop and large print hymn books available. We have two halls available for let, one seats 50 people, one (upstairs) seats 100 people. “This is God’s House - All are Welcome”. At Pilrig St. Paul’s Church we take these words seriously. We strive to be a community as diverse and as hospitable as God’s kingdom. We don’t all look, act, or even think alike. We don’t all read the Bible in the same way. We bring different questions and we carry different burdens. But each week we worship together as one inclusive family. We believe in the simple ideas that we all have a stake in the lives of one another, and that what binds us together as human beings is greater than what drives us apart. We believe that if enough people believe in the truth of these propositions, and act on them, then we might not solve every problem in our world; but we can achieve something meaningful and make our world a better place for all to live in. We do Sunday morning worship in some fairly traditional (Presbyterian) ways. We sing some of the same hymns that our grandparents sang. Yet in our preaching and our prayers, we use the light of modern day thought and language to wrestle with the challenges of our world.